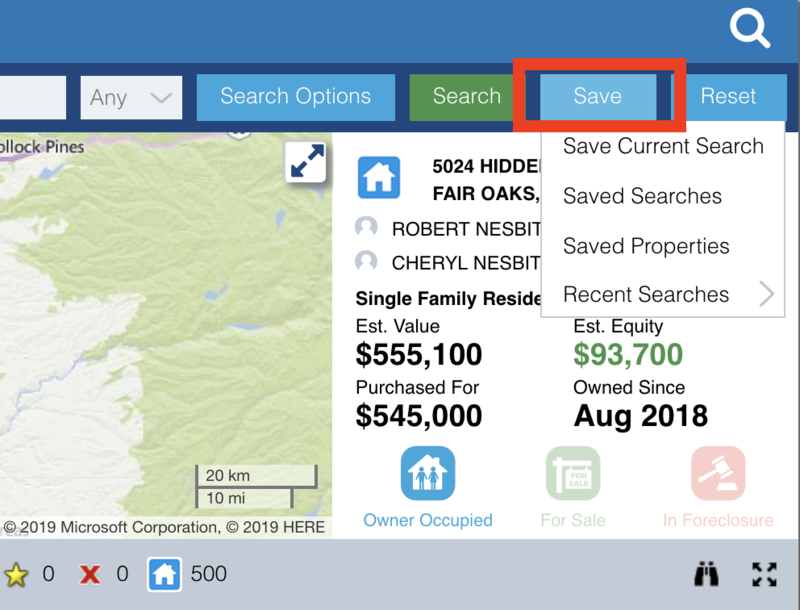 With PropertyRadar version 3.6 released January 17, 2019 we moved the location of Saved Searches and Properties to within each of the Search features. From within Property Search, Foreclosure Search, Transfer Search, and Trustee Sale Schedule, click "Save" in the upper right corner. 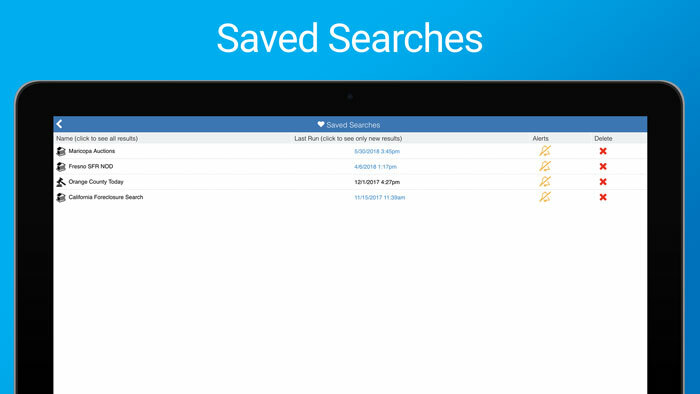 Saved Searches will show you searches you have previously saved. You can also set alerts and delete searches if needed. 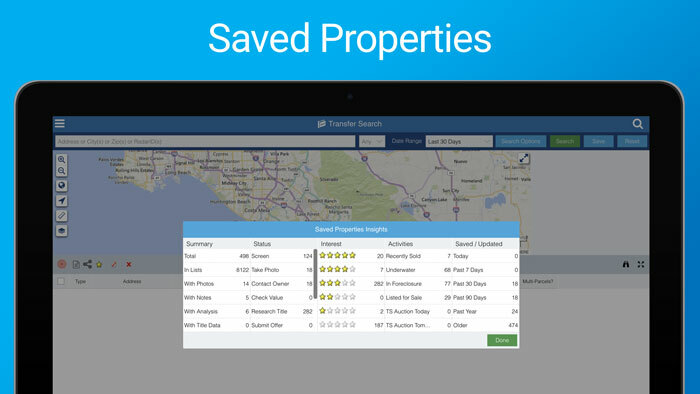 Saved Properties will show Insights into the properties you have added notes, photos, investment analysis, set statuses or interest levels, etc.